Click on the picture to be redirected to the Professor's personal homepage. 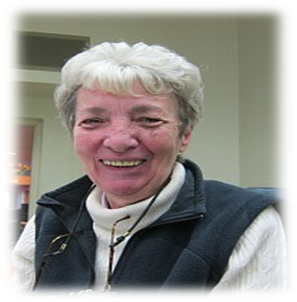 Marion Blute is Professor Emeritus in the Department of Sociology of the University of Toronto. 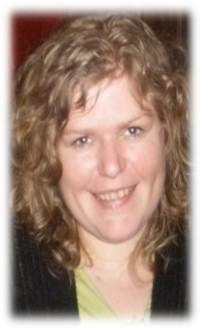 Her research interest is in Evolutionary Epistemology, generalized Darwinism or multi-process Selection Theory. The basic principle is that all knowledge acquiring and utilizing processes are selection processes. These include (gene-based) biological evolution by natural selection, (neural-based) individual learning by reinforcement and punishment, and (social learning or meme-based) sociocultural evolution by sociocultural selection. She is also interested in how these processes interact, including gene-culture coevolution. She has particular interests in the Philosophy and Sociology of Science/scholarship as well as genders. She has published widely on these topics in Life, Social Science and Philosophy of Science journals. She is a member of the Editorial Advisory Board of Biological Theory, of the Editorial Board of Spontaneous Generations: A Journal for the History and Philosophy of Science, of the Nominations Committee of the International Society for the History, Philosophy and Social Studies of Biology, of the Council of the Evolution, Biology and Society section of the American Sociological Association and she is an Associate of Behavioral and Brain Sciences. Her monograph on Darwinian Sociocultural Evolution: Solutions to Dilemmas in Cultural and Social Theory was published by Cambridge University Press in 2010. 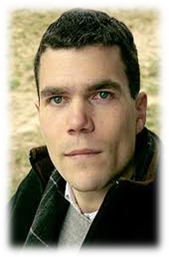 Frédéric Bouchard is Professor in Philosophy at the University of Montréal, Canada, founding member of the Consortium for the History and Philosophy of Biology, and member of the Interuniversity Centre for Science and Technology, based at UQAM. He conducts research in philosophy of evolutionary biology and evolutionary ecology and focuses on lineage concepts, species concepts (clonal species) and theoretical conceptualizations of (symbiotic) communities and the biological individual (colonial organisms, superorganisms). Additionally, he investigates fitness theories, and evolutionary drift. 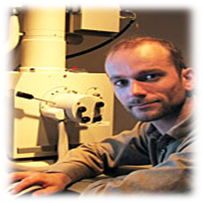 Frietson Galis is a Researcher at Naturalis Biodiversity Center and the Medical Center of the Free University of Amsterdam (VU), both in the Netherlands. In her research she focuses on innovations and mechanisms that either facilitate or constrain evolutionary changes, in particular, the role of pleiotropic constraints and selection in shaping the adaptive evolution of body plans. She uses developmental defects in humans and a wide variety of mammalian species to investigate hypotheses concerning constraints on body plan changes. This research shows strong support for the role of prenatal selection in constraining the evolution of body plans. Her studies furthermore indicate that variations of strongly conserved traits in humans and domesticated animals are often good indicators of medical risks. She was founding president of the European Society for Evolutionary Developmental Biology and is currently program officer of this society. Nathalie Gontier has a background in both Philosophy of Science and Anthropology, and holds a PhD in Philosophy of Science (with focus on Evolutionary Epistemology). 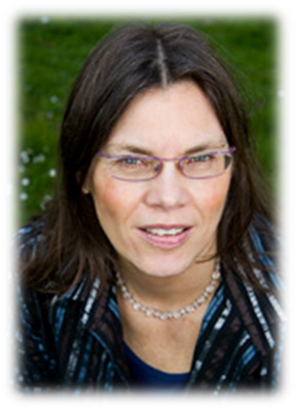 She is the founding Director of AppEEL - the Lisbon Applied Evolutionary Epistemology Lab which is part of the Centre for Philosophy of Science of the Portuguese University of Lisbon. Her main research interests are philosophy of evolutionary biology (symbiogenesis, punctuated equilibria and abiogenesis), evolutionary epistemology (the units and levels of evolution debate and hierarchy theory) and the origin and evolution of language. Previously, she has been a part-time Professor of Philosophy of Science at the Dutch Free University of Brussels (Belgium); as a Marie Curie Fellow, she has worked at the Division of Paleontology of the American Museum of Natural History (New York City, USA); she has been a Post-Doctoral Fellow of the Portuguese Fund for Science and Technology; a Research Assistant for the Fund for Scientific Research Flanders (Belgium); and a Research Fellow at the Austrian Konrad Lorenz Institute. Fiona Jordan is a Lecturer in Anthropology in the Department of Archaeology and Anthropology at the University of Bristol, UK. As part of an association with the Evolutionary Processes in Language and Culture Group at the Max Planck Institute for Psycholinguistics, she is a PI in the Evolution of Semantic Systems project, investigating semantic evolution with collaborators across more than 50 Indo-European languages. She is further associated with the Centre for the Evolution of Cultural Diversity of the UK's University College London and the Centre for the Co-evolution of Biology and Culture at Durham University, also in the UK. She studies cross-cultural diversity and macro-evolutionary trends of cultural transmission using phylogenetic comparative methods. Her course will focus on the various ways in which phylogenetic methods can and cannot model as well as depict the vertical and horizontal transmission of cultural traits. 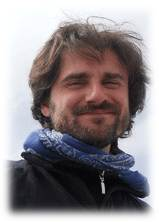 Emanuele Serrelli is Postdoctoral Researcher in Philosophy of Biology at the Riccardo Massa Department of Human Sciences at the Italian University of Milan, Bicocca as well as Visiting Postdoctoral Research Fellow at the Applied Evolutionary Epistemology Lab of the Centre for Philosophy of Science at the University of Lisbon, Portugal. His interests include speciation, niche construction, population genetics, paleontology, adaptation and cultural evolution. Serrelli's work focuses on niche construction and phenotypic plasticity and how both models can enable a synergy between models in biology and economics. He also conducts research on science education and communication, as well as the meaning of concepts such as an "Extended Evolutionary Synthesis". 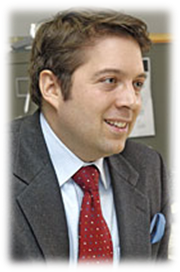 He is a member of the editorial board of Pikaia, the Italian web portal on evolution. Previously, he has been Visiting Scholar at the Philosophy of Biology Lab Group of the University of Salt Lake City, Utah, USA; and Visiting Fellow at the Centre for the Foundations of Science, University of Sydney, Australia. Ilya Tëmkin is a Research Fellow in the Invertebrate Department at the Smithsonian National Museum of Natural History, Washington DC, USA; as well as Assistant Professor of Biology at Northern Virigina Community College, USA. Previously, he has held appointments as Post-Doctoral Fellow in Bioinformatics at the New York American Museum of Natural History, and as Visiting Curator at the Muséum d'Histoire Naturelle (Paris, France). His mainly studies the phylogeny and systematic of Pterioidean Bivalves (pearl oysters and their relatives) using morphological, molecular, and paleontological data; as well as the evolution and ontogeny of bivalve ligament systems. In collaboration with Niles Eldredge, he is pioneering in the evolutionary study of material culture by implementing macroevolutionary theories from biology into the sociocultural domain. Derek D. Turner is Associate Professor of Philosophy of Biology at the Goodwin-Niering Center for the Environment, and Chair of the Philosophy Department of Connecticut College, New London, CT. He is one of the pioneering philosophers of science that conducts historical and philosophical research on the rise of paleontology and punctuated equilibria theory. He will teach on epistemological issues of paleontology and natural history sciences. 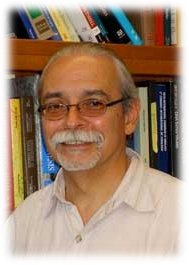 Luis P. Villarreal is Professor of Molecular Biology and Biochemistry at the School of Biological Sciences at the University of California at Irvine, CA. He is the founder of the Center for Virus Research which he directed for 10 years. Villarreal is a world-renowned and pioneering expert on viral evolution and viral symbiosis as well as the role viruses play in the evolution of life. He also performs groundbreaking research in the fields of viral gene therapy, cancer virology, proteomics and bio-defense. He has received several awards for his research, including the National Science Foundation Presidential Award for Excellence in Science, Mathematics and Engineering Mentoring. Villarreal will teach a course on viral evolution and viral symbiosis, putting emphasis on his theory of "viral colonization" and how viruses contribute to host group survival from bacteria to human social evolution. Michael Ruse is Professor in Philosophy at the Florida State University, USA, where he also directs the History and Philosophy of Science Program. His research interests lie in Philosophy of Biology (especially Darwinism), the History and Philosophy of Science, and Ethics (both the biological origins of moral behaviour as well as bioethical issues raised by cloning and stem cell research). He is a renowned philosopher of evolutionary biology, famous for works such as "Taking Darwin Seriously: A Naturalistic Approach to Philosophy", "But is it Science? The Philosophical Question in the Evolution/Creation Controversy", and "Paleontology at the High Table", which he edited with David Sepkoski.